Lance Owners of America (LOA). Meet with other Lance Owners. The Lance Owners of America is an organization of people that all share some common interests. We all love traveling and camping in our Lance Truck Campers, Travel Trailers and Toy Haulers. We would like to invite you to explore our website and consider becoming a member of the Lance Owners of America. 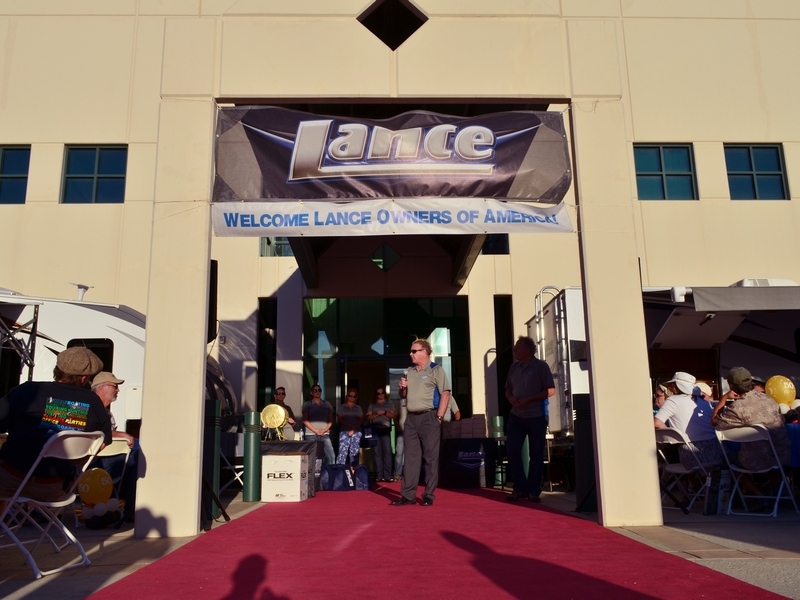 Our goal is to provide the Lance Owner community with valuable information and events to help make your Lance camping experience a great one. We here at Lance value our relationships with our customers, many of whom over the years have become good friends. We start with state of the art research and design processes, then select the highest quality components and assemble them in the most advanced automated manufacturing environment in the industry. What will continue to be clear throughout it all is how one thing has never changed: Our dedication to providing our customers the best built RV's in the business. Thank you to our customers for the confidence you continue to place with us. For those considering a Lance, we invite you to "Discover The Lance Difference" for yourself.